March 13, 2015 -- 11:30 a.m. -1:15 p.m.
Due to the meal guarantee at Tulsa Country Club, registrations for the program with the meal must be made by Monday, March 9th. We apologize for the inconvenience. Former President Gerald Ford once said, “If I went back to college again, I'd concentrate on two areas: learning to write and to speak before an audience. Nothing in life is more important than the ability to communicate effectively.” Whether it is speaking to an audience of one or 1000, HR professionals constantly find ourselves needing to influence the actions and attitudes of others in order to accomplish our objectives and help our organizations meet their priorities. Join us for this lively session as we take a not-so-familiar look at a familiar subject and leave with suggestions you can put to work immediately to improve your ability to communicate confidently and convincingly to others. Paul Moore is a Managing Consultant with Williams Companies. 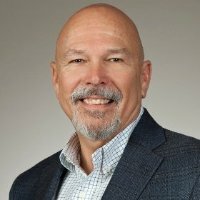 He has worked as both an internal and external consultant in the training and human resource development field with a variety of organizations and industries, including managing a division of 500 employees in one of the fastest growing companies in the US, building and running an internationally recognized corporate university, creating an award-winning training department for a federal financial agency, and managing the senior-level succession management process for a major international petroleum company. He was the recipient of the "Outstanding Performance in Training Management Award" given by Training Magazine and the International Training Directors Forum. Paul has been a speaker and featured presenter at many professional conferences and conventions, including the International Seminar on Workplace Learning and Performance in Brussels, Belgium, the ASTD International Conference, and several IQPC conferences on Call Center Training. With degrees in Education and Communications, plus additional post-graduate studies in Organizational Management and HR, Paul has been an adjunct faculty for various colleges and universities, teaching both online on-ground courses, as well as for several national institutions, including the Federal Financial Institutions Education Council in Washington, DC, and the Economic Development Institute at the University of Oklahoma. Paul is a native of the Dallas/Fort Worth region but since the mid-90’s has lived in Tulsa with his wife of more than three decades, and their sons, now both in college.